Step 2. 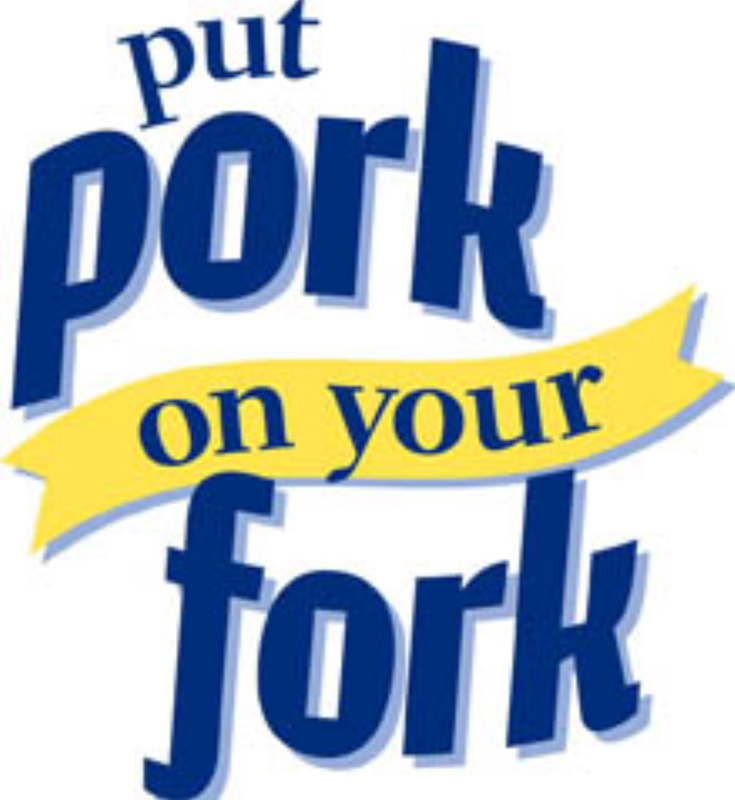 Remove the pork from the fridge, and once again rub both sides of the pork with salt. I use at least a tablespoon for each side. You really want to massage it into the grooves of the pork skin. Use your guns . Step 3. Preheat oven to 240oC. Roast the pork for 20-30 minutes until the skin is bubbled and blistered. Keep an eye on it, you don’t want it to burn. Step 4. Once the skin appears blistered and bubbled, remove from the oven and slowly add the milk to the hot pan. Pour the milk in around the sides, avoid contacting the upper surface of the meat. NB: Make sure you cook the Pork in a dish that will allow the milk to come up to about half way of the meat. Step 5. Reduce heat to 160 oC and cook for a further 2 hours. For best results, leave the pork in the oven until you are ready to serve it. Leave the door of the oven open, not only will the abundant aroma fill the house but this will also help the air flow and keep the crackling crispy. 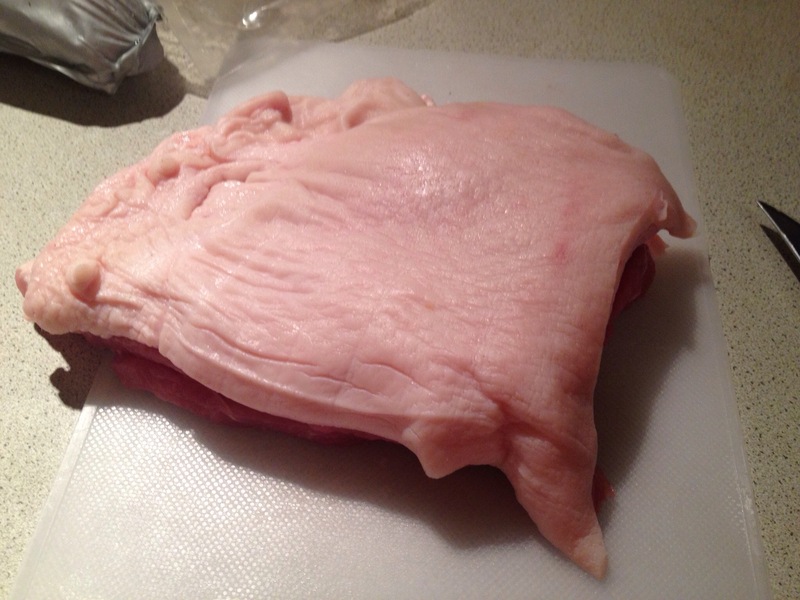 A tip for cutting the pork belly, turn it flesh side up on a chopping board. Rather than struggling to get your knife through the crackling, cut from the fleshy side. 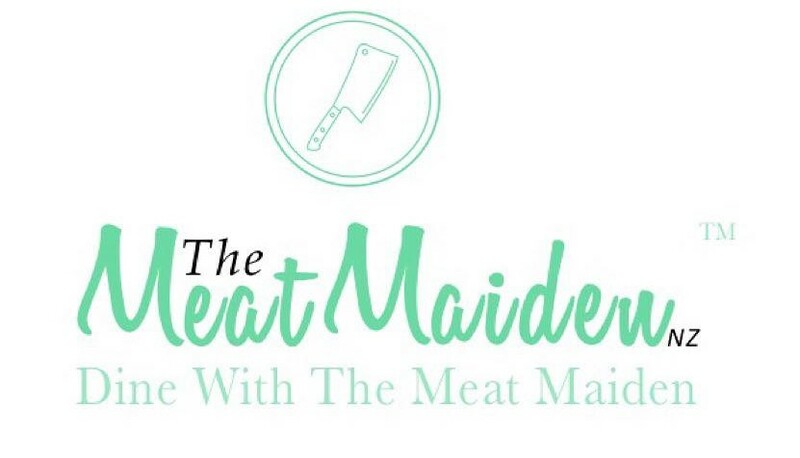 And most importantly, make sure your knife is good and sharp !!! In a medium sized pan, cook the apple on a medium heat for 15 minutes. Ideally you’ll use cooking apples so the fruit will be fluffy and soft. Season with the salt and pepper and finally stir in the cider vinegar.